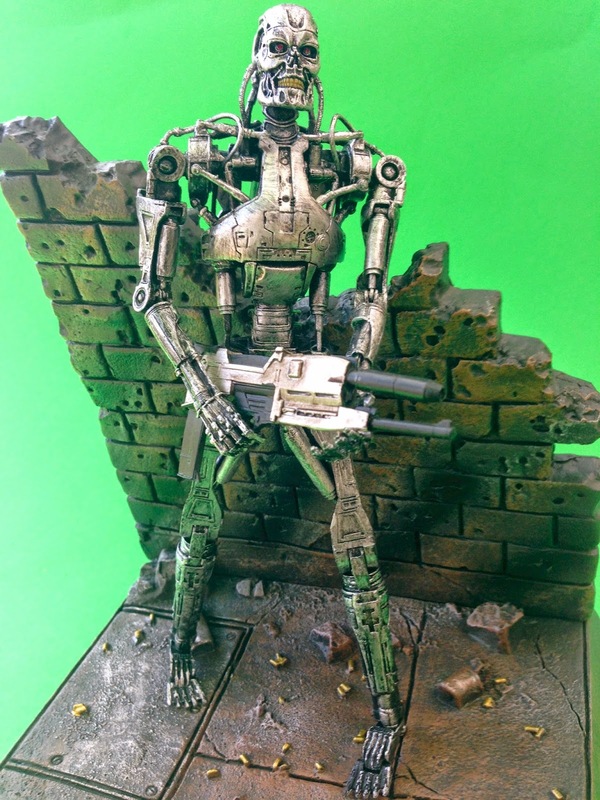 When we reviewed NECA's TRU Exclusive Terminator Endoskeleton 2 Pack back in December we were ecstatic. 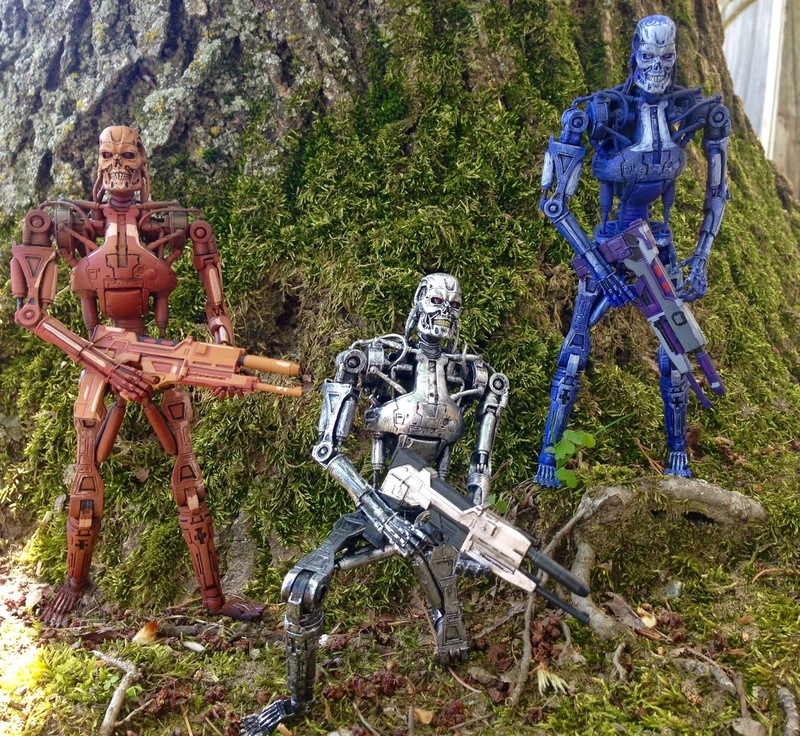 NECA knocked the RocoCop vs Terminator line (RvT) out of the park. 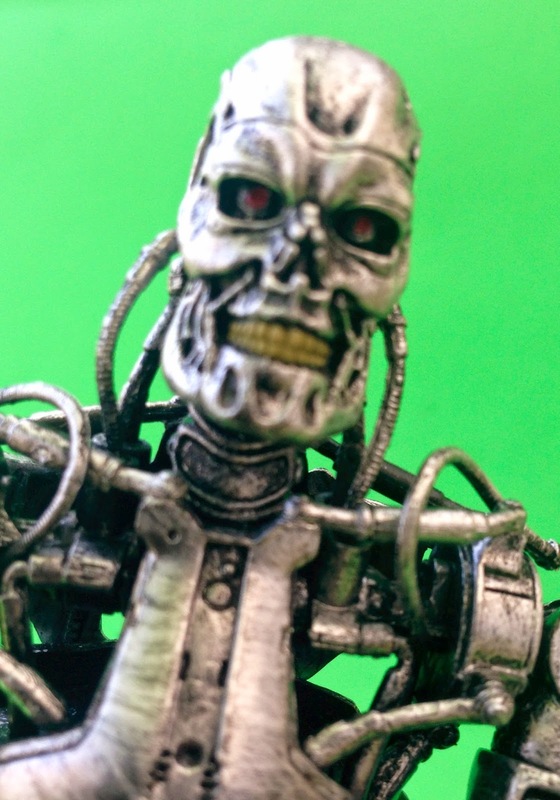 Ever since then we have been patiently waiting for a crack at the classic T-800 Endoskeleton from the movie. A few weeks back Randy announced on Twitter that we would finally get our chance to pick this bad boy up! Two weeks later I have one in my hand and am excited to review it. Again, if you are familiar with the RvT Endo's that came out and liked them then you will definitely love these as well. The packaging is similar yet distinct from the packaging used for the RvT Endo's. It comes in the same resealable packaging with the open window in the front. The design art on it is nice. It has a sleek, mechanical futuristic vibe to it. 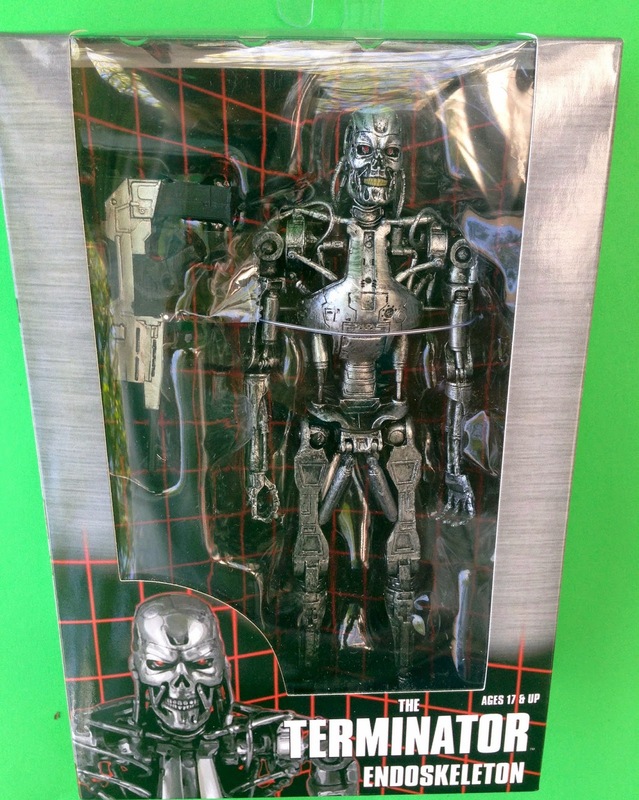 The box looks like it is wrapped in metal and comes with the Cyberdyne Systems logo. 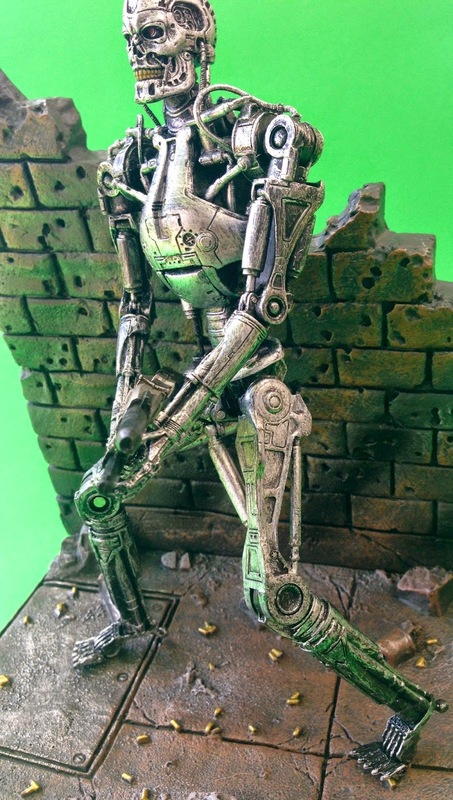 As usual, NECA pays extremely close attention to all of the little details...which of course is what sets them apart from other companies. 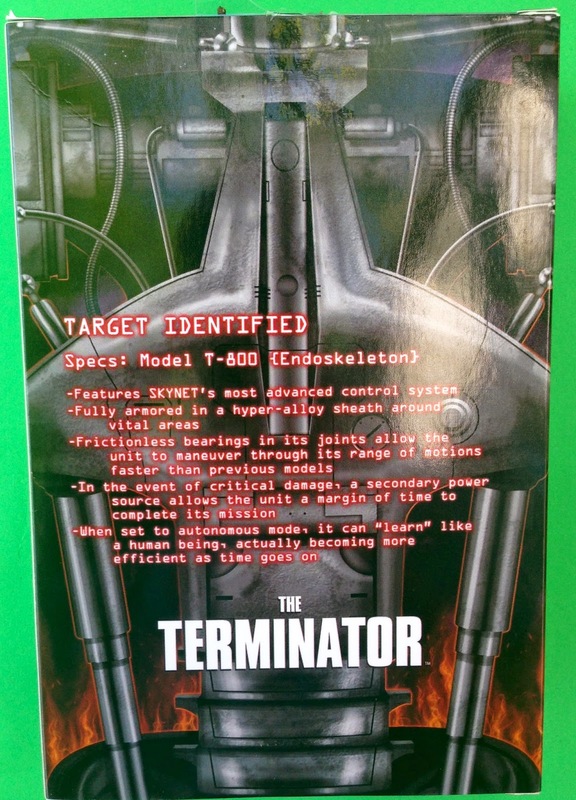 The best part of the packaging is the back. 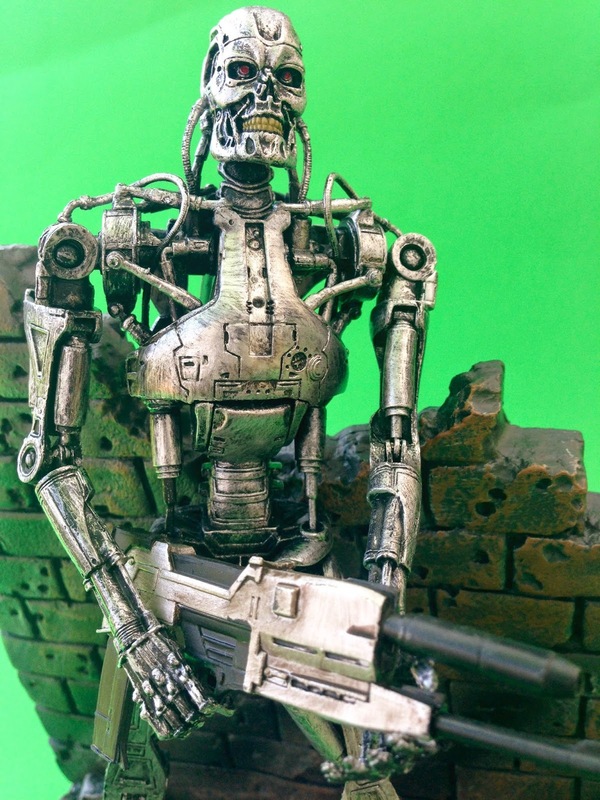 It is an up close shot of the midsection of an Endoskeleton and has a list of the specs for the Model T-800. It is written to look like a scan from an Endo's point of view. 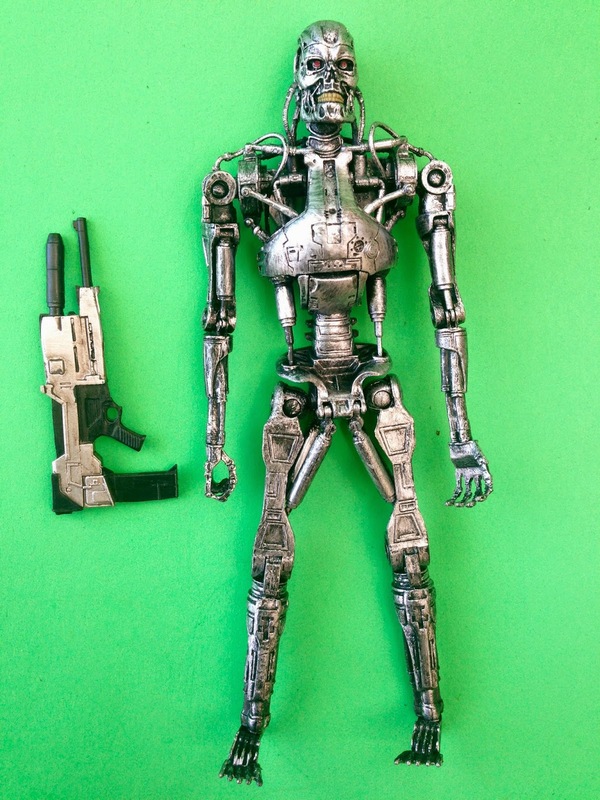 Each figure comes with the signature pulse rifle with a worn metal looking paint and black accent pieces. 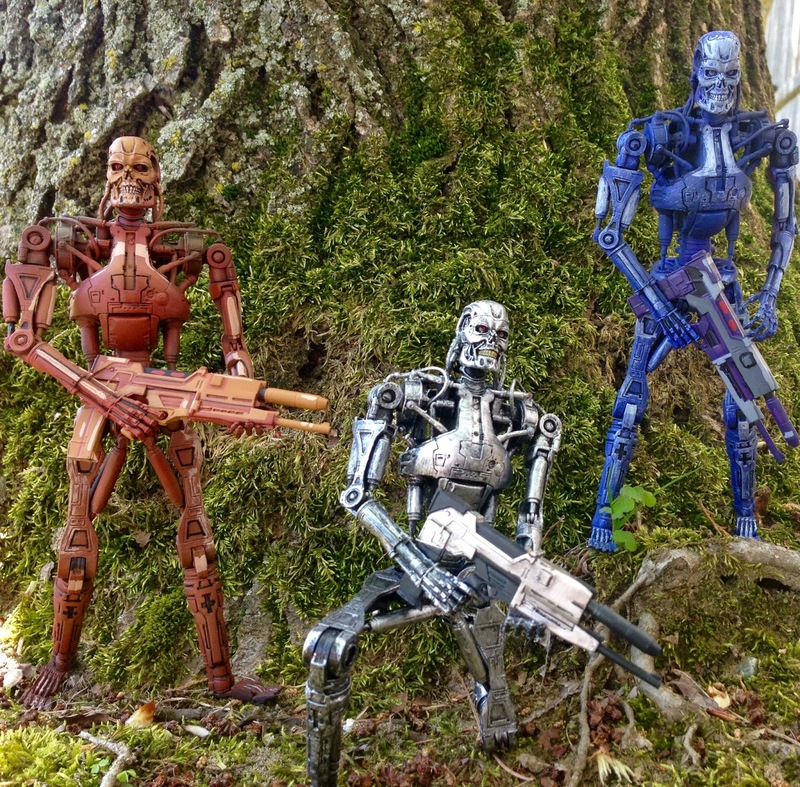 The figures themselves are really fun to play with and pose. Just like the pulse rifle, the Endo has worn down metal looking paint. 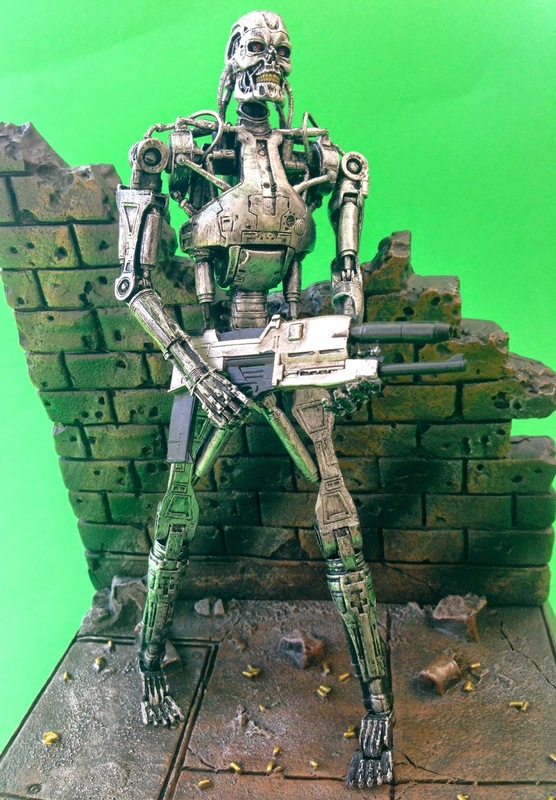 I love how they take the extra step of adding the dark brush strokes to accent certain areas. 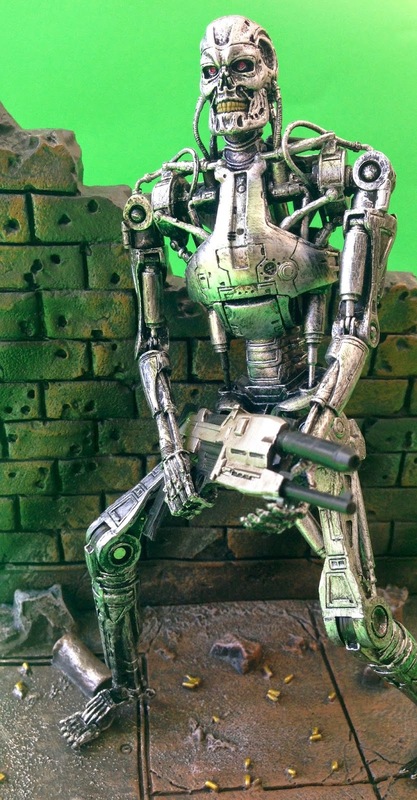 This is an Endo who has seen some battle, not one right off the Cyberdyne production line! And of course, the Endo comes with the signature red eyes, human-looking teeth, wires, and exposed parts when the joints are bent. 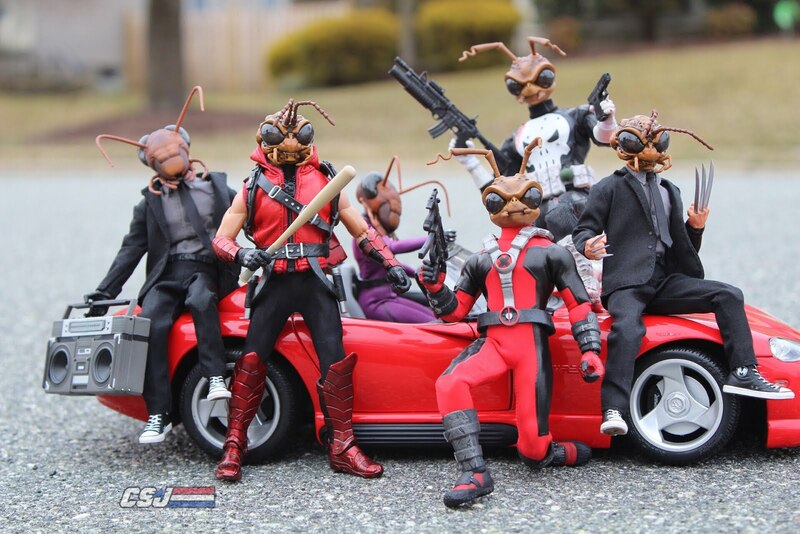 Word is these have started hitting Wal-Marts around the country. Most people haven't been able to find them yet, but don't worry. Be sure to keep an eye open around the checkout line as that is where they should be. Also, keep in mind that if your Wal-Mart currently has Godzillas and/or the POTA Caesar out then those should be replenished with these Endo's once they are gone. 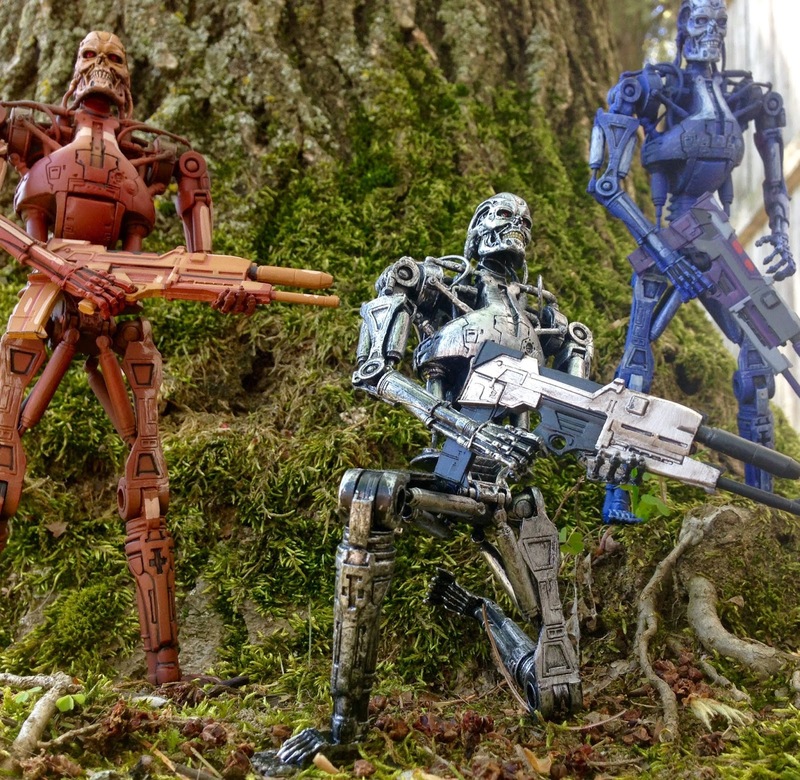 Once you fine these, you won't be able to buy just one...as they are the ultimate troop builder figure! Happy hunting!!! Great Review. Love the detail and the newer face sculpt. Any news if this will be coming out in the UK?